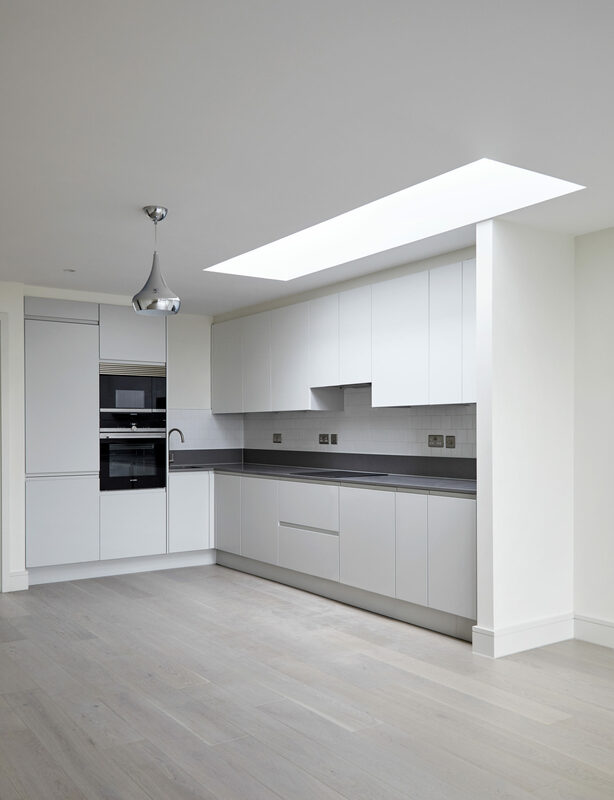 The scheme at Jamaica Road is a small residential development in the heart of Bermondsey in South-East London. 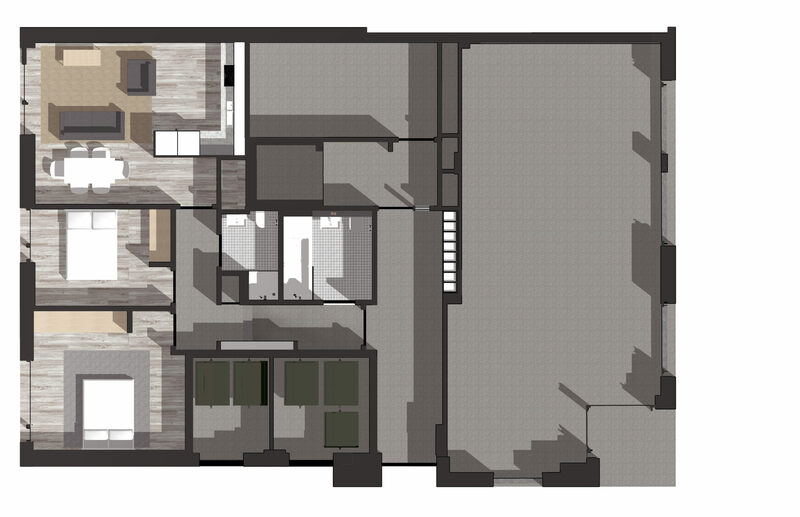 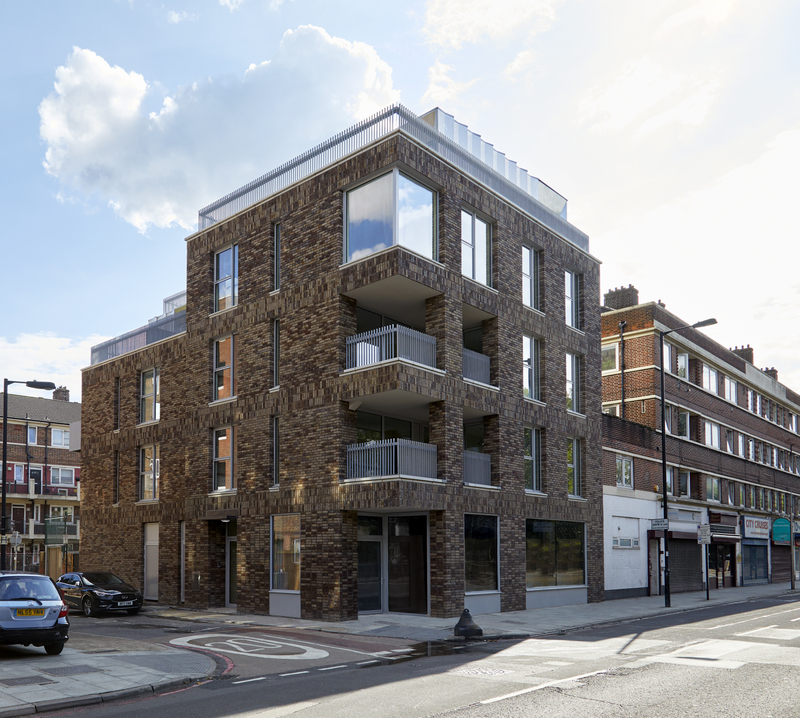 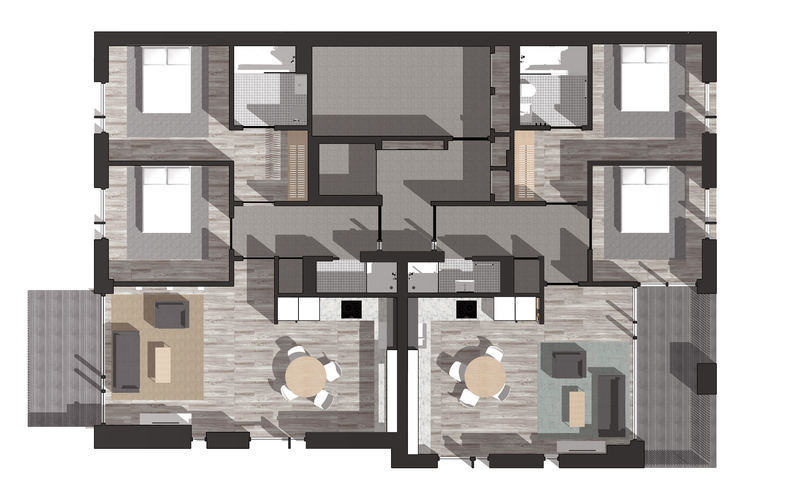 This small residential development in the heart of Bermondsey replaces an existing public house with a contemporary four-storey building containing five apartments and a single maisonette. 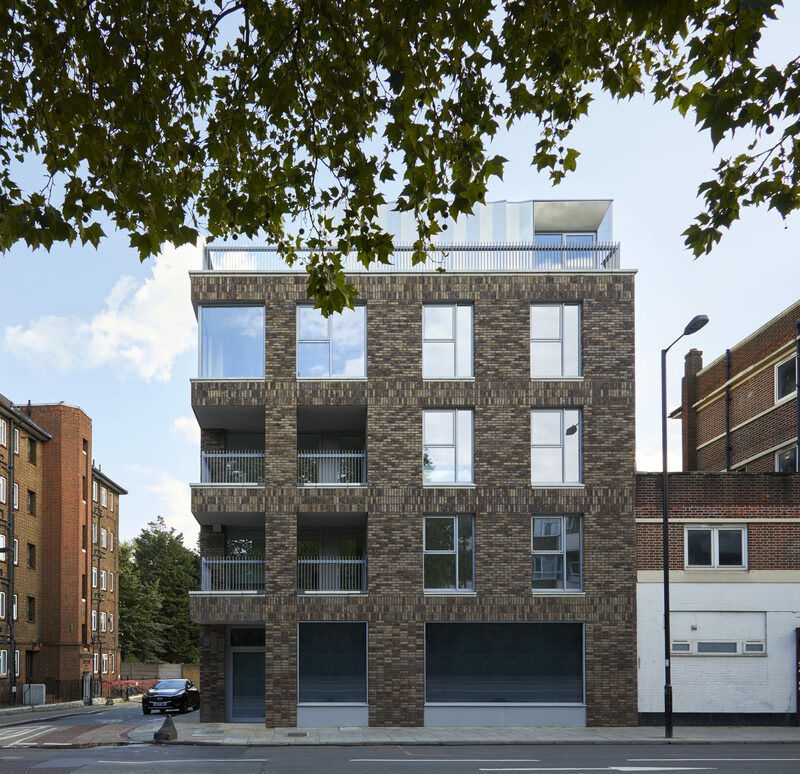 The contemporary new scheme respects the local context and surrounding buildings while making a bold statement. 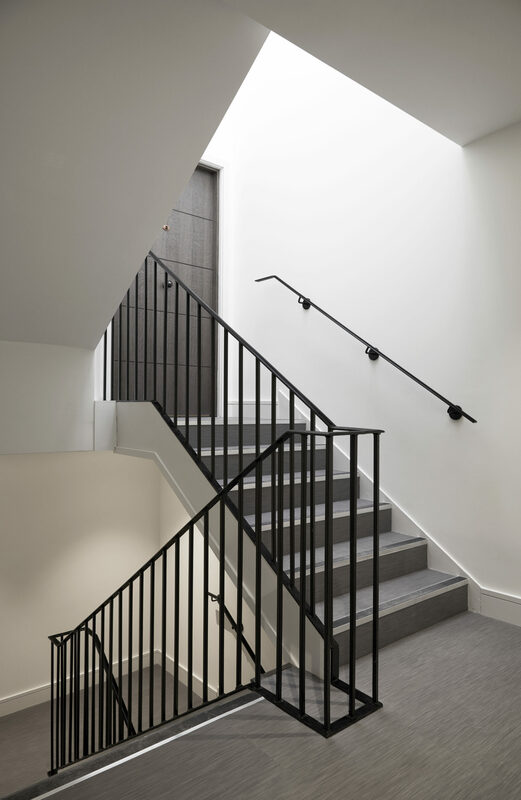 The building’s form is a response to the constraints of light distribution to neighbouring properties while balconies respond to the internal particularities of each apartment and the views out towards Canary Wharf and Southbank Park. 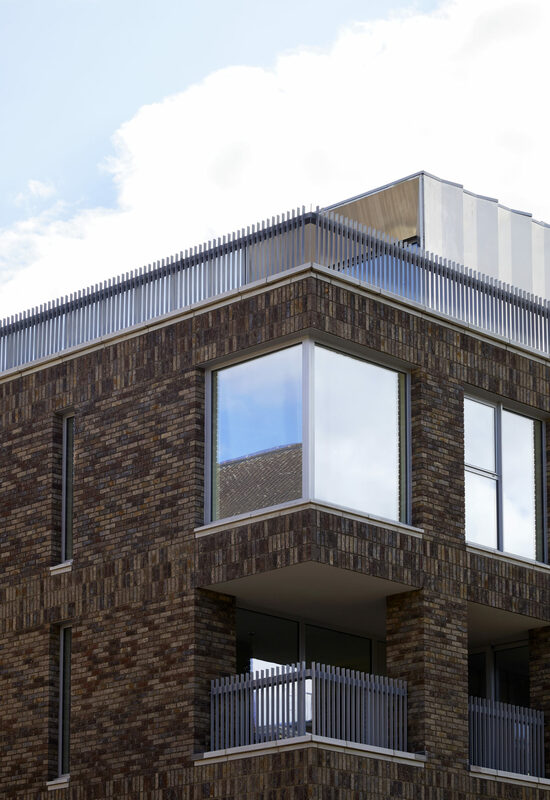 Crowning the building, a lightweight perforated steel volume tops the red brick and houses two apartments and roof terraces.